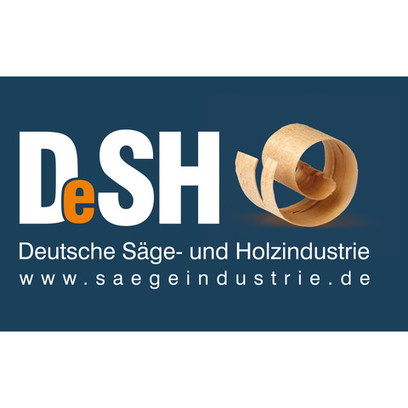 Visitors to LIGNA can try their hand on an exciting saw simulator at the stand of DeSH (Federal Association of the German Sawmill and Wood Industry), installed in the Timber-Trainer, the first mobile training center in the association's "it wood be good" campaign. DeSH aims to represent its members nationally and internationally in industrial and technical matters and provide them with support in achieving their commercial targets. Among other things, DeSH represents and communicates industry interests in the political context, ranging from classic lobbying to participation in campaigns and controversial debates. As well as these political aspects, the association’s presentation at LIGNA 2017 in Hannover also focuses on training and the next generation of specialists. To give the clearest and most practical demonstration of its work in this area, DeSH is now using the Timber-Trainer, a mobile training center equipped with a Mimbus saw simulator where visitors can test their aptitude for woodworking. Immediately after LIGNA, the Timber-Trainer - along with a further simulator from Microtec - will then be going on tour as part of the "it wood be good" training campaign, which began its successful run a number of years ago. As the first mobile training center for the German sawmill and wood industry, it will be supporting teaching at vocational schools and providing extra training for employees at companies. The Timber-Trainer will also be representing the industry at training fairs and training days to help get the next generation interested in woodworking careers.